India born, California raised folk fusion songstress, Zoya, has been praised by the likes of The Huffington Post, Wondering Sound, Rolling Stone India, MTV Indies, and more for her innovative sound intertwining folk singer-songwriter music and the inescapable allure of the North Indian tradition through her entrancing vocal style, coupled with intense, stirring harmonies, and eclectic instrumentation. She received high acclaim on her last record, Letters To Toska, for it's experimental take on the DIY singer-songwriter genre. Her newest album The Girl Who Used To Live In My Room released this July in support of her successfully funded Kickstarter. She has toured and opened for the likes of Kawehi, Storyman, Ingrid Michaelson, Ryan Scott and more. 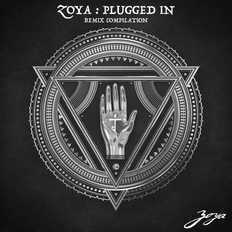 Now, while Zoya is working on a new solo-acoustic EP, she will also release a new electronic remix compilation album entitled, Zoya: Plugged In, this October 2015. The album is a collaboration project featuring 9 different producers who have remixed 9 of Zoya's most popular singles and hopes to raise awareness through electronic music for the need for electricity to provide for a better educational environment in rural India. As a Music Business graduate from world renowned Berklee College of Music, Zoya continues to act a a pioneer in the global music industry while following her true passion as a touring singer-songwriter.